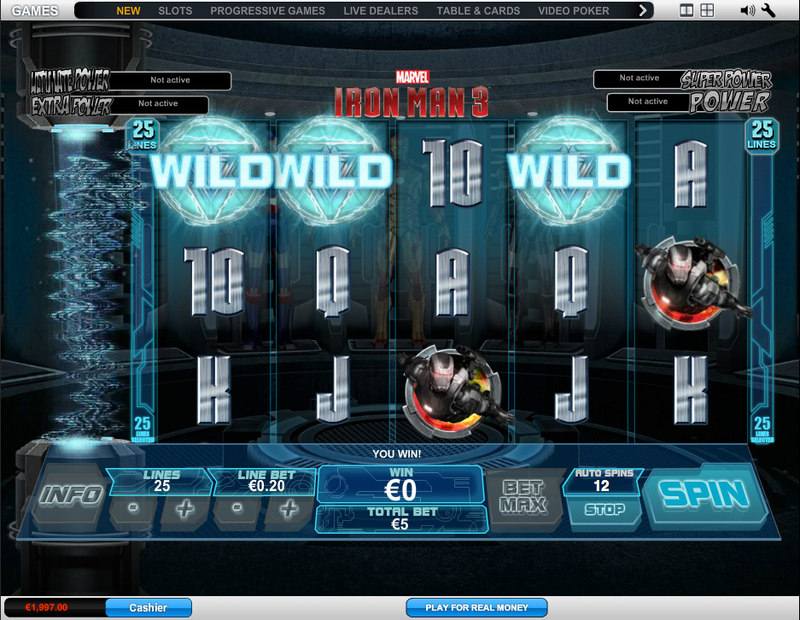 Iron Man 3: Slots Game Review & FREE Game and BONUS! Where to Play Iron Man 3 for Real Money? Marvel’s lineup of movie tie-in slot games keeps expanding with their Cinematic Universe. Just like we’ve seen three movies centered around the character of Tony Stark, the genius inventor millionaire who came up with the Iron Man suit, we’ve seen three iterations of classic slot based on those popular movies. Playtech’s Iron Man 3 slot takes the same basic rules and format of their other licensed Marvel Games - if you’re interested in another hero, check out our review of the Incredible Hulk slot - and is connected to the same 4-tiered progressive random jackpot system as the others. While the game’s features provide you with plenty of opportunities to walk away with massive winnings, this random jackpot opportunity has you gunning for a real fortune. 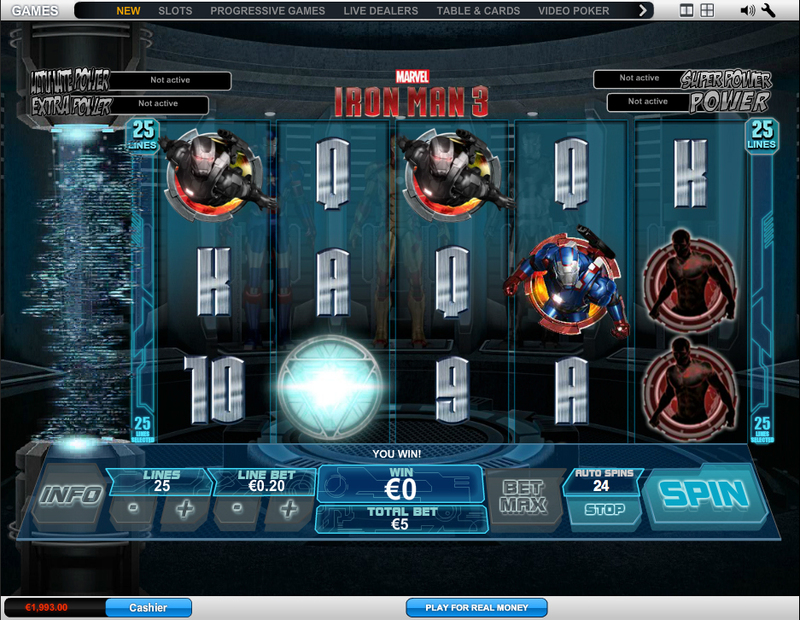 How to Play Iron Man 3 Casino Game? 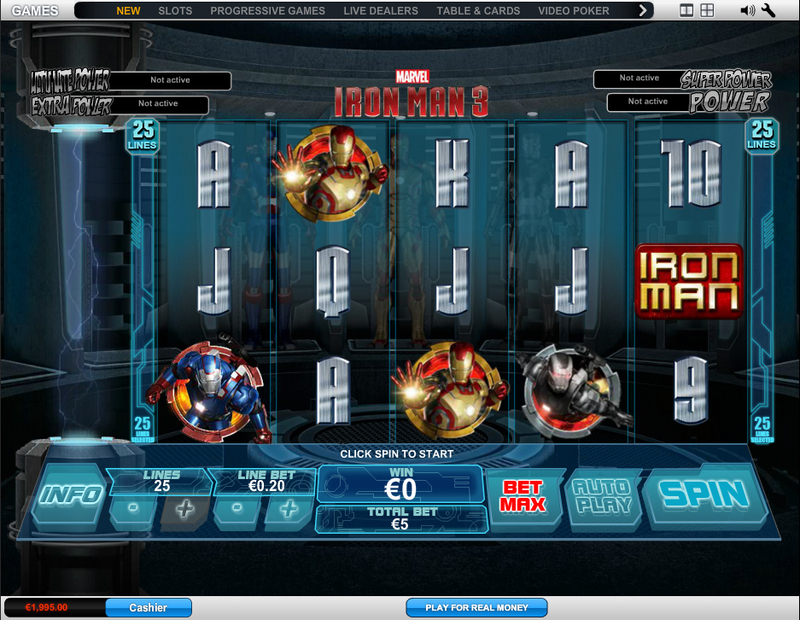 Iron Man 3 is a 50 payline, 5 reel classic slot with a handful of interesting game features tossed into the mix. Playtech also offers a 25 payline version, which is identical to the first in all other features while also giving you the chance to play for free if you want to get your grips with the mechanics before putting up some real pretty polly on Tony’s luck. Like the other Playtech Marvel slots, Iron Man 3 has since seen a mobile release. The betting limits at 0.25 to 25 are pretty low, so this is not widely considered to be a risky slot. It isn’t as feature-heavy as Hulk, but there are plenty of juicy free spin and wilds opportunities. Iron Man 3, besides the progressive Marvel jackpot, has wild symbols and two scatter features. 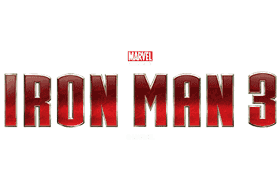 The now-triangular arc reactor acts as the wild symbol in this game, while portraits of the Mark 42 suit, the War Machine suit and the Iron Patriot suit act as the scatters for one feature, and the logo as the other. The first of the two scatter features, All Systems Go, triggers when you land a Mark 42 symbol on reel one, a War Machine symbol on reel 3 and an Iron Patriot symbol on reel 5. These reels will lock into place, and reels 2 and 4 will be re-spun for free. Activating this feature is extremely rare and difficult, however the payout is worth it - you could be mutiplying your winnings by up to x50. Interesting that the other scatter feature should be named after something that is destroyed pretty early on in the movie. Spoiler, I guess? Either way, lining up three or more Iron Man 3 logos on any of your reels will trigger this fun mini-game of sorts. The player will be given the choice of the three armor variants that make up the scatter symbols, as each have different rules. With the Mark 42, you’ll get 10 free spins, and all wild symbols are frozen in place. With War Machine, your number of free spins is decreased to 8, however the wilds won’t freeze - rather, they will be randomized. Finally, Iron Patriot will net you 15 free spins with no effect to the wilds, rather a set multiplier to all wins during those free spins. Iron Man 3 isn’t as packed with features as some of its compatriots, and the low risk makes playing this slot feel like a casual matter. This is the slot you pick up when you’ve had enough excitement for the day, and want to play laid back instead of from the edge of your seat - but that All Systems Go scatter will definitely lighten you up. The Iron Man 3 slot machine feels like it's the lesser cousin of some of the decidedly great Marvel slots made by Playtech. This low-risk, feature-bare slot feels like more of an entry level affair.